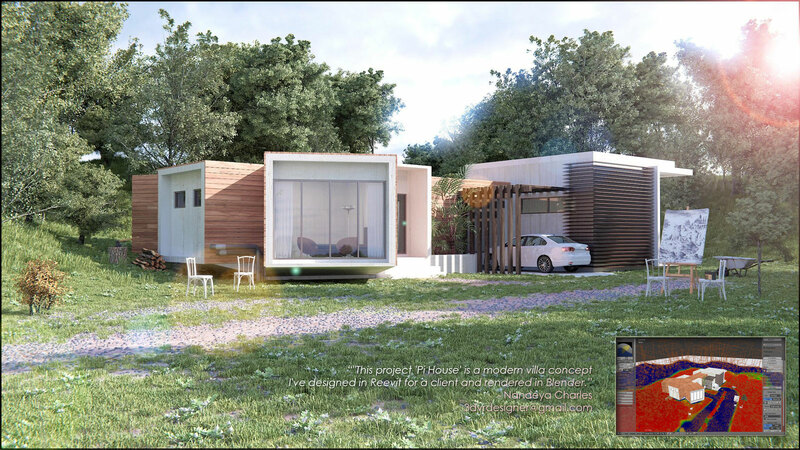 My name is Nandeya Charles -- an architectural 3D artist living in Abidjan, Ivory Coast. I've been a Blender user since 2009 with 3 years as a professional. Currently, I'm working with an architect firm "FOND BLANC." This project is a modern villa concept I've designed in Reevit for a client and rendered in Blender thank to new FBX export/import capabilities .